Mobile devices have changed the way that companies communicate with consumers. As a result, healthcare marketers must take advantage of these mobile means in order to reach prospective and current patients in a very competitive market. Since the goal is to become a trusted source for healthcare consumers throughout their journeys, MediaPost.com offered ideas on designing a mobile map for healthcare consumers to follow. 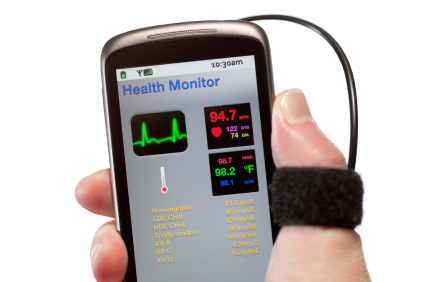 Chances are that consumers are already using their mobile devices for healthcare purposes. Whether using locator apps to find doctors or receiving texts as reminders to refill prescriptions or take medications, consumers are embracing the convenience and simplicity of mobile communication as they deal with healthcare issues. How can healthcare marketers translate their brands and services into mobile messages? The key is to go beyond being an information portal and become a personalized resource that provides a mobile map offering the specialized support that patients need every step of the way. Think about your consumer’s healthcare journey and develop mobile services that can meet their needs, such as apps that provide blood work results or regular texts that check on their progress. These personal touches are much more meaningful than generic apps that provide disease information or facts on different medications. By providing a mobile map, you’re making your communications more about the consumers’ individual journeys. You’re gaining the ability to help prepare them for every stage of treatment and checking on their progress every step of the way. These personalized gestures maintain your connection with patients throughout their journeys while inspiring trust and building their bond with your brand. As you can see, mobile communication makes it easy to communicate and resonate with healthcare consumers. Developing a mobile map to help them handle their healthcare situations can put your brand on the fast track to long-term loyalty. If you’re interested in becoming a trusted source for healthcare consumers throughout their journeys, contact MDG today at 561-338-7797 or visit mdgadvertising.com. MDG Advertising, a full-service Florida advertising agency, with offices in Boca Raton and New York, NY, specializes in developing targeted, Internet marketing solutions, exceptional creative executions and solid branding and media planning strategies for the healthcare marketing industry.